Forest School arrives at St. Margaret’s! Working in partnership with Sue Harrison from Branching Out-Woods, the school is introducing Forest School for Reception, Year 1 and Year 2 students from January 2017. The Forest School approach originated from Scandinavia where children spend most of their time in the outdoors and the learning is child-led; following the child’s interest rather than content led. It was first introduced in the UK in 1993 and this holistic approach to learning has spread. Forest School encourages children to take risks in a safe environment, experiencing activities such as tool work, tree climbing, rope swings and fire lighting. Research has shown that children experience increased self-confidence and self-esteem having participated in Forest School. Speaking and listening skills improve, relationships with peers through team working and relationships with adults both develop and these transfer to the classroom. Woodlands provide a fantastic learning environment as they are robust, resource rich, sheltered and assessed for safety, constantly changing and home to other creatures and plants, providing a fun place to learn. Sue Harrison is a qualified teacher, a Forest School Practitioner and first aid trained. She has run successful forest schools and outdoor learning sessions at a range of schools. Sue takes great satisfaction in seeing children growing in confidence as they take on new challenges and watching their abilities develop rapidly throughout the sessions. Forest School take place in all weathers come rain or shine! The main Forest School sessions will commence in January and will run in 6 week blocks starting with Year 2, then Year 1 and finally Reception. 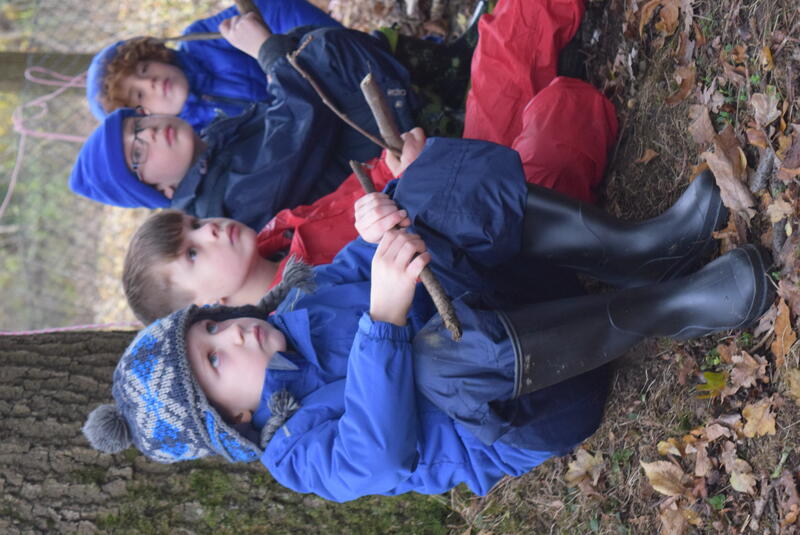 We believe that Forest School will broaden the experiences of our students and contribute to the development of whole child with the benefits being seen in the classroom.